What is optical heart rate tracking and how is it different from heart rate measured with a chest strap? What are the pros and cons of OHR (optical heart rate tracking) and how accurate is it? Get ready to dive into this fairly sizeable article on Polar and optical heart rate tracking. If you’re familiar with the basics of heart rate and HR tracking, feel free to skip the first few sections. In the beginning there was the chest strap. It was a major innovation of its time, designed to help athletes track their heart rate while exercising. Athletes would wet the strap or use a conductive gel, strap it around their chest and enjoy the never-before-seen portability of chest-strap based HR. It’s been nearly 40 years since our first HR solutions but the heart rate sensor, chest strap and GPS watch dynamic trio is still very much a valid combination for many situations. However, for some years you’ve also had the opportunity to use a sports watch with an optical heart rate sensor built in. Recently (cough… today) we’ve also introduced our first standalone optical heart rate sensor, Polar OH1, that you can wear on your arm. 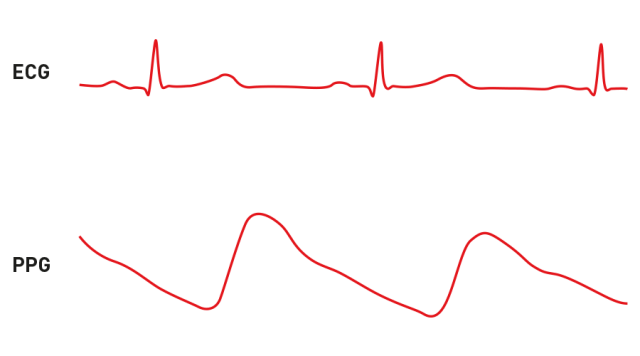 ECG stands for electrocardiograph, a visual representation of the electric signals originating from the heart. As your heart beats, those electric signals carry through your body fluids onto your skin on which you can place electrodes that measure the changes. You need to wet your chest strap before using it or use a gel to make sure that the electrodes can pick up the electric signals. Because ECG measures the electrical activity of the heart directly, it’s best to take the measurements from as close to the heart as possible. Hence, the chest strap. PPG stands for photoplethysmogram or photoplethysmography which means optically measuring the volumetric changes of an organ. PPG is the signal that the optical heart rate solution measures, interprets and uses to calculate your heart rate. You can – at least theoretically – measure the PPG signal anywhere from the body: from your finger, earlobe, temple or wrist, for example. B) volumetric changes: PPG measures changes in volume, that is, how big or small something is. C) organ: the organ we are talking about here isn’t just your heart but your whole cardiovascular system, especially the veins and capillaries under your skin. In simpler terms, optical heart rate tracking is about using LEDs and a photodiode to measure the changes in the size of blood vessels under your skin. An LED shines a constant light onto the skin. Some of its reflected and scattered back into the photodiode. Your heart beats and sends a pressure pulse through your circulatory system. The amount of light that reaches the photodiode changes due to the pressure pulse. The OHR solution tracks the changes and the time between pulses and determines your heart rate. Now, you can modify this basic setup, for example, by altering the number and color of the LEDs, the intensity of the light, the LED placement and the method of securing the LEDs and the photodiode near your skin. The basic method, however, remains the same. Sidenote: Is 6 LEDs better than 2 LEDs? 6 LEDs is three times better than 2 LEDs, right? Well, it’s not quite that simple. As we’ve seen, the number of LEDs is just one piece of the puzzle. It is true that sometimes using a 6-LED solution gives us better results.  Polar’s advantage is that we design and develop the complete OHR solution (the band and the form factor, the OHR electronics, the software, the algorithm…) which means we can tweak each individual component to get the best results. Sometimes this means 6 LEDs but not always. So, we started with the basic aim of measuring how fast your heart is pumping, also known as your heart rate. We noticed that there are different ways to reach this goal, one of which is optical heart rate tracking. Now, all methods have pros and cons because they’re inherently different ways of measuring the same thing. And it’s not even necessarily a case of one being worse than the other: they’re just… different and the only way you can say one method is better than the other is to first consider the goal. These are all valid goals and optical heart rate is a really good option for many of them. One of the biggest benefits of optical heart rate tracking is ease of use. If you wear your sports watch all day and it has OHR, you’re always ready to track you heart rate, whether it’s during lunch-time yoga or cycling back home. Furthermore, if you want to track your heart rate round the clock, OHR is arguably the only viable option. Optical heart rate tracking also doesn’t require you to wet the chest strap or apply a gel. One of the biggest benefits of optical heart rate tracking is ease of use. 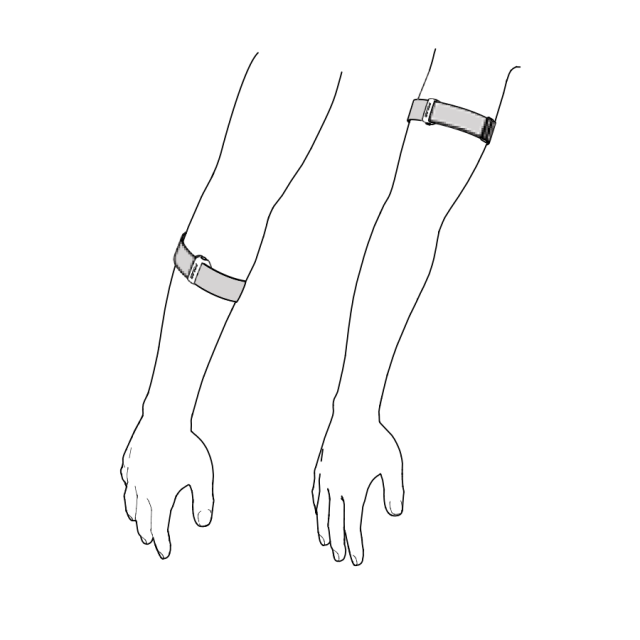 There are more options for sensor placement with OHR: on the wrist or on the upper or lower arm (with Polar OH1) for sports where the sensor placement might hinder your movement or performance. Examples that come to mind are bench pressing, volleyball or racquet sports. In some situations, it’s better to track your heart rate from the arm (Polar OH1) rather than your wrist (wrist-based HR) because some movements or exercises put a strain on your wrist and tendons (such as pull-ups) which in turn can affect the quality of the signal. These physiological constrains can be solved by taking advantage of the versatility of optical heart rate tracking and the placement of the sensor. Overall comfort is another big factor, while also being very subjective topic. Some people actually enjoy the snug fit of the chest strap but many will appreciate the ease of just tightening the wristband and being ready to go. Just kidding. Like we said in the beginning, what you want to do affects how you should do it. Here’s a seemingly bold statement from the pioneers of wearable sports technology (it’s less bold when we dig deeper into it): optical heart rate tracking is more prone to errors than chest-strap based heart rate. Before you call the press (or tweet them), here’s what that means: it’s easier to get erroneous measurements from an optical heart rate sensor than it is to get erroneous measurements from a chest strap HR sensor. There are ways you can cheat an optical heart rate sensor – for whatever reason – simply by constricting blood flow to the measurement location. And even if you’re not consciously trying to confuse the OHR sensor, there are occasions during which you might do so inadvertently (for example by wearing the OHR sports watch on the same hand that grips the tennis racket or wearing two fitness trackers side-by-side on the same wrist). The key point here is that the sensor should be touching your skin and it shouldn’t be moving about much. Another possible source of error is… as usual… ourselves. You can get bad results simply by wearing it in a suboptimal position, also known as wearing it wrong. If you’re wearing a wrist-based optical heart rate tracker, like a sports watch, it should be worn snugly (not argh-my-hand-is-purple-snug) behind the wristbone, towards your elbow (when we say behind the wristbone, we don’t mean on the wristbone). See picture for placement. If you’re wearing the Polar OH1 heart rate armband, you should wear it on your lower or upper arm for best results. The key point here is that the sensor should be touching your skin and it shouldn’t be moving about much. Besides this very human source of error there are some technical limitations that are being solved as the technology advances, such as skin temperature affecting readings in the cold or at the beginning of a training session. Optical heart rate tracking is an excellent option for continuous heart rate tracking, also known as 24/7 HR. However, there are two aims here: making sure the sensor touches your skin and allowing your skin to breathe. If you wear the sports watch or fitness tracker too loose, you’ll introduce errors into the measurement and if you wear it too tight for too long, you’ll introduce discomfort into your life. Look here for more detailed instructions. This is the interesting part: How accurate is optical heart rate compared to chest-strap based heart rate? Based on our own validation studies, our optical heart rate readings are very similar to ECG-based readings in many of the most popular sports, mainly running and cycling. That said, it’s still true that if you want the universally most accurate heart rate tracking solution, reach for the chest strap. One of challenges of optical heart rate tracking is dealing with so called motion artefacts. If you’re sitting still, the measurements contain very few motion artefacts but if you’re moving about, even minute changes in the position of the sensor will produce these artefacts. How we design the form factor of the sensor or sports watch (weight, size…) is one part of the solution, while the way the Polar proprietary OHR algorithm interprets the raw data it gets from the sensor is another. In many sports, we have now reached a level of precision so that the accuracy of optical heart rate tracking doesn’t have to be the deciding factor when you’re considering which solution is right for you. Optical heart rate tracking is different from, but not inferior to chest-strap based heart rate measurement. They both have their advantages and disadvantages and we encourage you to use whichever method suits your goal for the day. Get to know the new Polar OH1 – Polar's first optical heart rate sensor and armband that you can wear on your upper or lower arm.